A busy educational facility requires clearly stated policies and procedures to protect students and staff — and the organization itself. By outlining expectations and making quantifiable goals for your facility, you can be sure that all of the desired actions are taken and that you get the outcomes you want for your school. Educational facilities face more challenges now than ever, from ever-changing demands for new technology to the need for an increased focus on physical security and emergency planning. 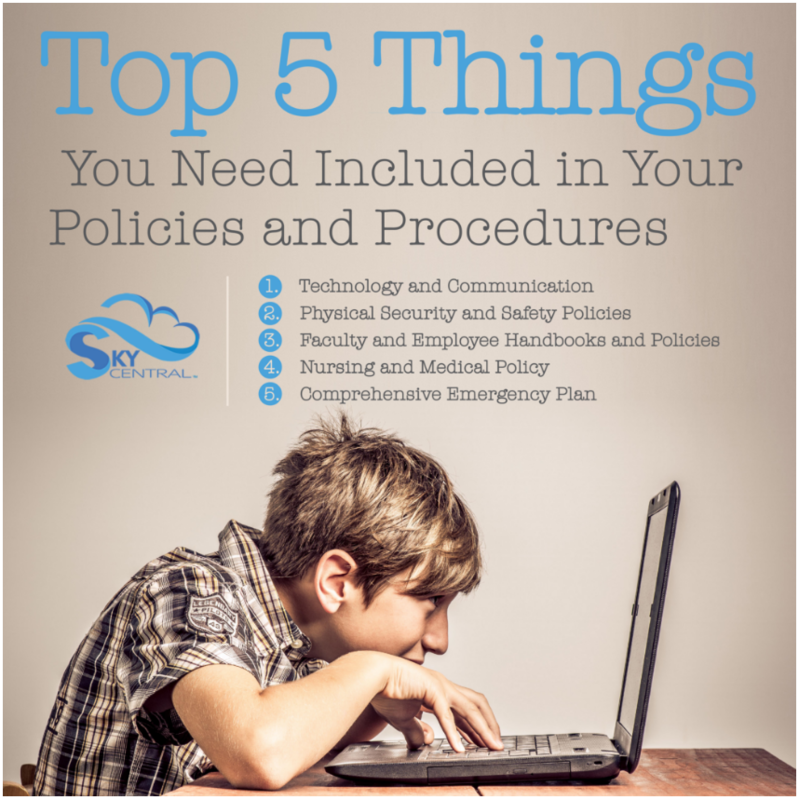 From technology to physical security and health, here are five policies every educational facility needs to have in place in 2016. Hackers have already begun to target schools and education facilities – and it’s not kids trying to alter grades. Cyber criminals have identified schools as high-opportunity, low-risk places to steal data and hack into systems; the sheer number of personnel who have access makes it an easy proposition. In 2015, the Horry County School District fell prey to a ransomware scam; investigators believe an administrator or faculty member was tricked into allowing hackers to access the system and that faulty outdated servers and equipment played a role as well. The cyber criminals immediately locked the administration out of the system, and the school was unable to access their own records. After over a week of trying, the school admitted defeat and paid a hefty bitcoin ransom to regain access. This recent attack is an excellent example of the need for an ongoing, evolving technology and communications policy that covers everything from employee awareness training to expensive but necessary equipment replacement. When managing your technology, make sure that you take into consideration your policies and procedures around your facility management and rentals. There are a few great platforms out there that help in streamlining the facility rentals. Tragedies make unfortunate headlines every year, and every educational facility needs a plan in place for physical security and emergencies. The Department of Homeland Security and FEMA recently released an active shooter preparedness guide designed to help communities improve both awareness and safety. Having a set emergency and active shooter policy in place is a sad necessity for schools today; the right training and approach can help empower your faculty and employees and boost safety and awareness in your facility. Activities outside regular school functions require security and safety policies too. Those that rent and use your facilities have a very real risk for injury and your can be on the line for that liability. Make sure you have systems in place to protect your administration and those that use your facilities. Having set policies in place regarding recruitment, hiring and the performance of employees not only ensures that everyone is on the same page, it also protects you and the students in your care as well. 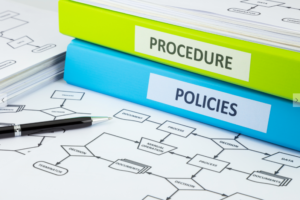 Employee policies encompass everything from the educational requirements and experience needed for each position, but salaries and benefits, onboarding and training, and even disciplinary action and termination. An employee handbook with clearly outlined policies lets your team know what to expect and protects you legally as well. Developmental disabilities such as autism are becoming more prevalent; according to the CDC, one out of every 68 children is impacted with ASD. With the dramatic increase in disabilities, coupled with an equally stunning rise in food and environmental allergies, the school nurse and medical advisor is more important than ever. In 2016, the American Academy of Pediatrics updated its school policy advisory to call for the inclusion of a qualified professional nurse in every school. –The American Academy of Pediatrics, in a new for 2016 policy advisory on the importance of nurses in public schools. If you do not yet have a medical policy or have one that is outdated, the new advisory should trigger a review of the services and staffing your facility provides for students and those on the school grounds. A comprehensive medical policy, including a fully staffed and prepared medical facility, should be integrated into other aspects of facility management, including your network, physical security and emergency plans. 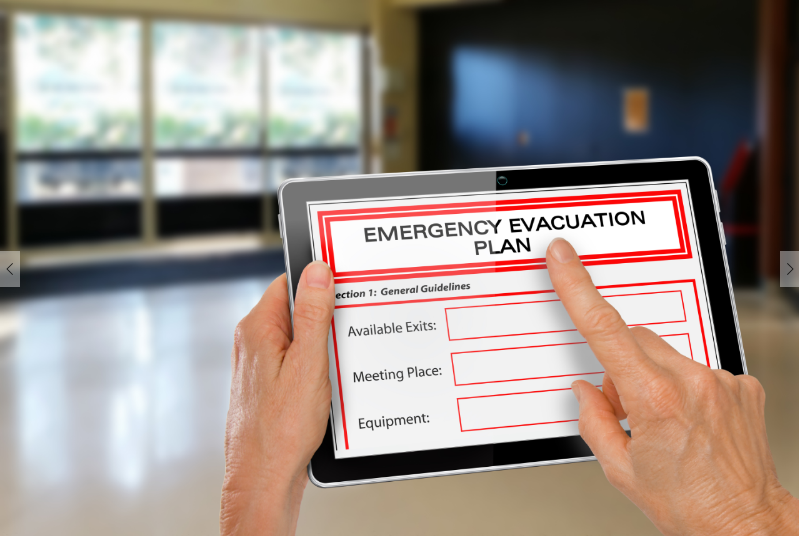 An emergency plan needs to cover what happens to your facility and anyone on the grounds in a natural disaster or other event.According to the Department of Education, your emergency plan needs to consider every possible occurrence and have a clearly outlined path of action in place to protect your students. 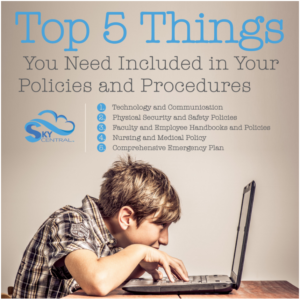 Your policy needs will continue to evolve, but addressing key security, safety and technology issues will help you be prepared for any eventuality and help you protect your students, faculty, and staff. Contact us to learn more about making sure your information and data is secure and to help you make the most of your technology budget.